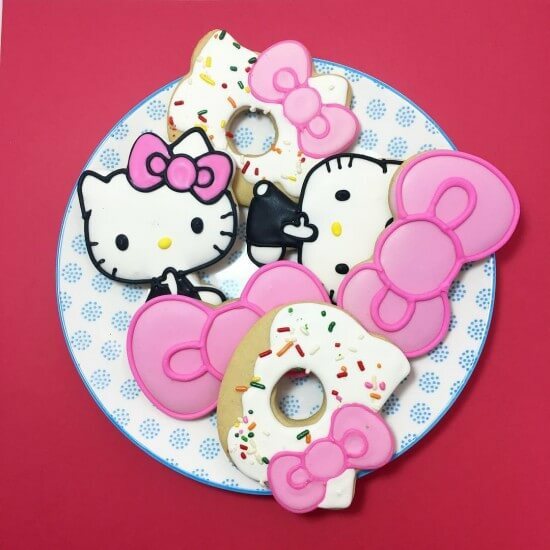 Sanrio opens first ever Hello Kitty Cafe in the U.S.
Next to the Disney characters almost no other animated figure is as recognizable as the little cat with the pink bow, Hello Kitty. 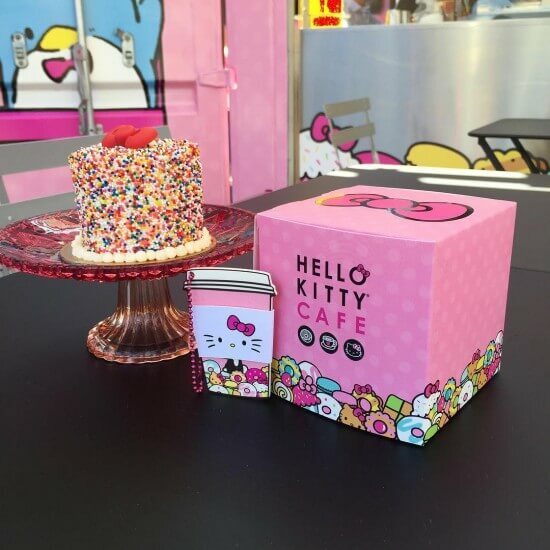 The iconic kitty just celebrated her 40th anniversary and to honor the occasion, Sanrio decided to open up its very first Hello Kitty cafe in the US. The pink cafe, the Hello Kitty Cafe Pop-Up Container, opened up at the Irvine Spectrum Center in California on July 15th and will stay in business through 2017. The cafe sells homemade pastries like rainbow sprinkle cakes and Hello Kitty bow cookies. Almost everything on the menu can be found imprinted with Sanrio’s most popular characters like Hello Kitty, Chococat, and Keroppi. It wouldn’t be a real cafe if they didn’t also serve up some yummy drinks such as lattes with Hello Kitty art, iced teas and lemonades. While this may be the first Hello Kitty Cafe in the US there are a dozen of cafes around the world in places such as Japan and Singapore.